I feel like I should begin this post with a big, long deep breath. Ahhhhhh…..We made it! 2018 is here, and with it comes a fresh start and new hope. I’ve shared a bit on Instagram about our struggles with recurrent pregnancy loss that have affected us for the last few years, and we really struggled with in 2017, and let me tell you: I am ready to start a fresh new year with hope for the future. I am sure that at some point I’ll be ready to share a bit more about our struggles, but this is not the post or the day that I’ll go into it. 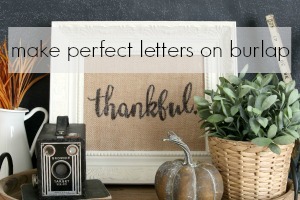 Today I’m joining the absolutely lovely Cami from Tidbits for a fun blog hop. 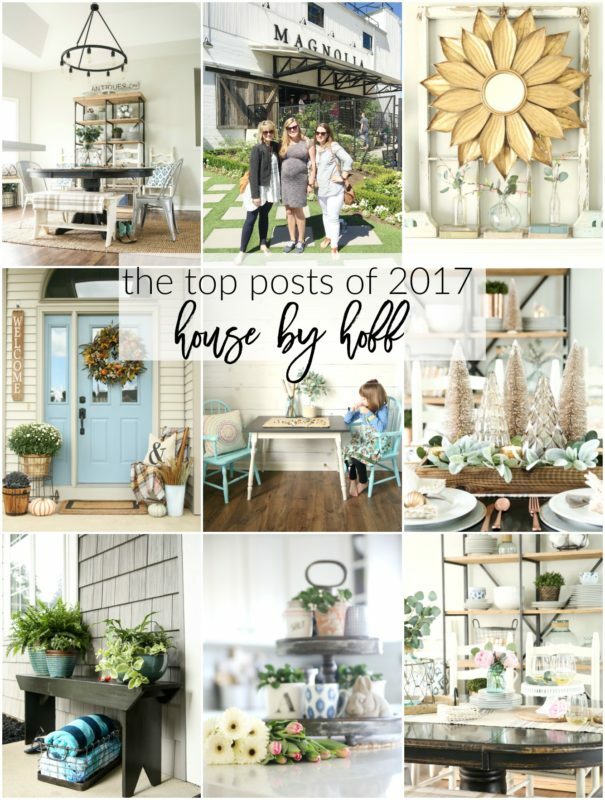 She rounded up some awesome bloggers and we’re all sharing our top posts of 2017! Are you ready to check out my top 10 posts of 2017?! Let’s get to it! My top post of the entire year was this post about How Our Laminate Floors Are Holding Up. 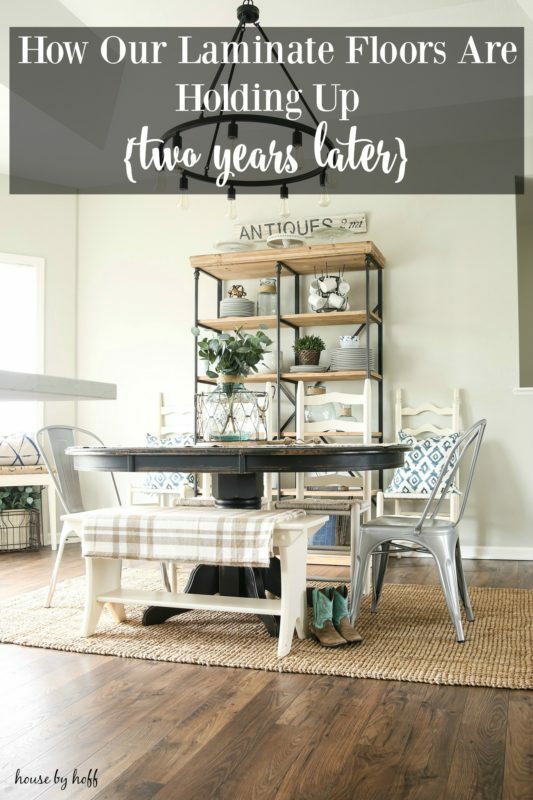 It makes total sense to me that this would be a popular post, as flooring is such a huge financial and long-term commitment to a product in our homes. If you’re considering using laminate in the future, you should definitely check it out! 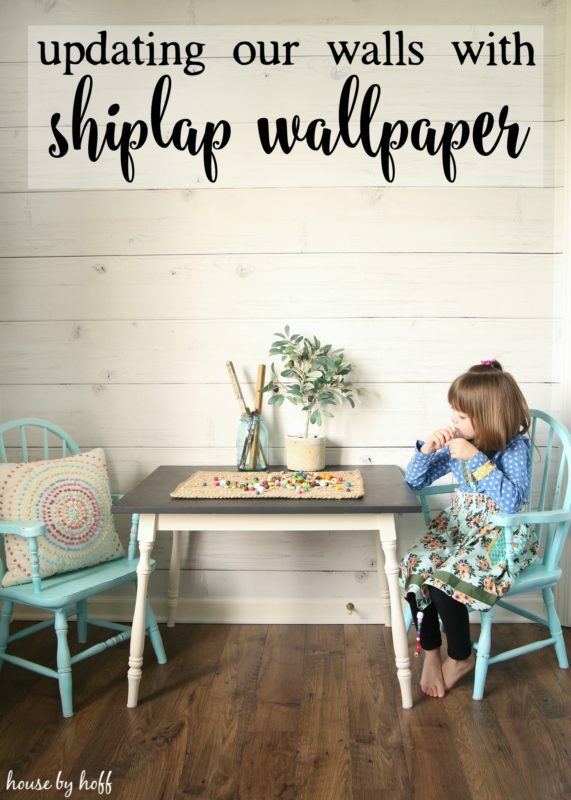 Next up is my post about Updating our Walls With Shiplap Wallpaper. Just about one year ago exactly, we updated Miss L’s playroom with this awesome wallpaper, and I have no regrets about it at all! I still love how it looks, and this is still one of my favorite rooms in the house! 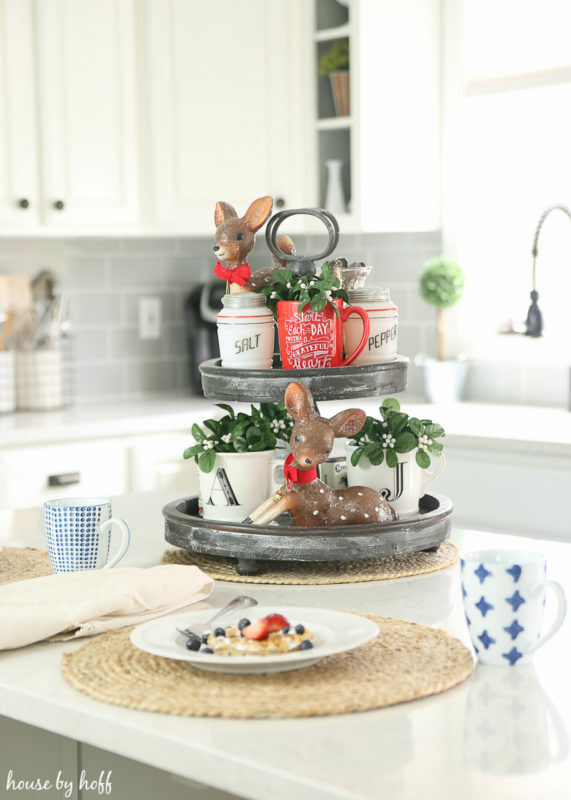 Spring is one of the best times of year to decorate, so it should come as no surprise that Spring Touches in the Kitchen had lots of pins and page views! 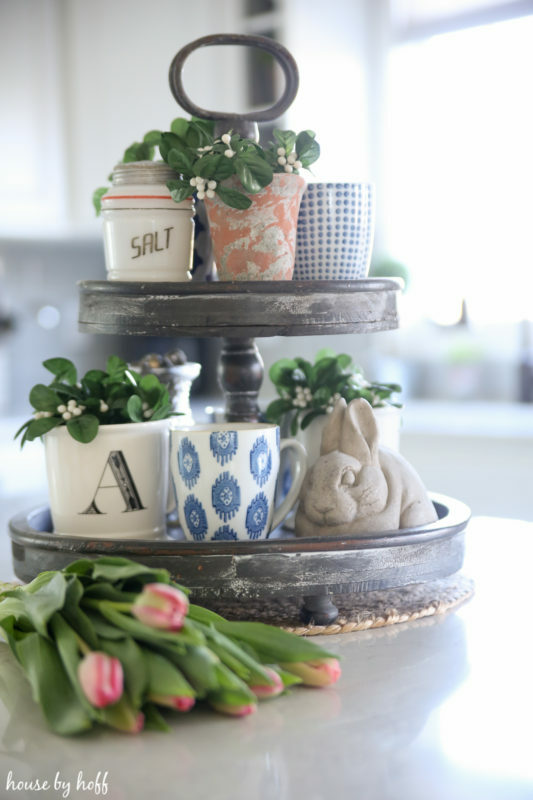 More spring decorating! 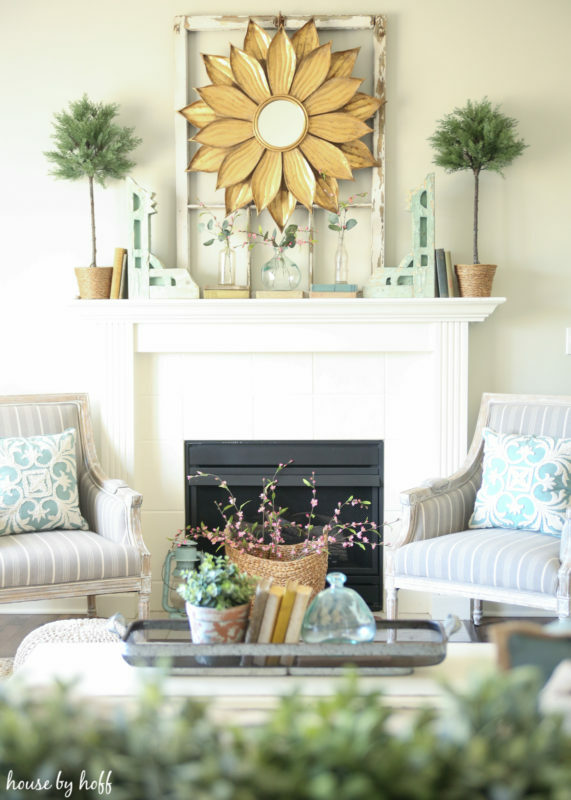 Next up is The Complete Spring Home Tour 2017 ! I swoon every year when my peonies are in bloom, and use them as much as possible in my photo styling! Apparently we all love pink peonies, as the Simply Summer Hour Tour 2017 was next up in my top posts for 2017! 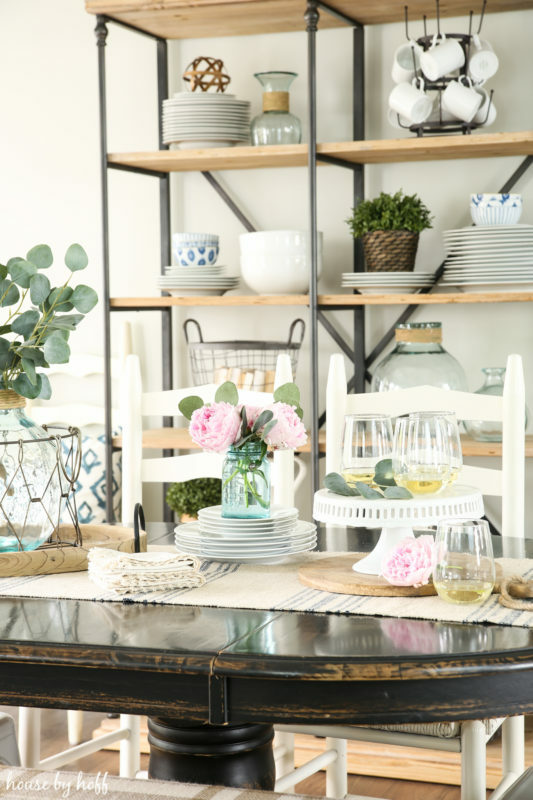 If you don’t have a tiered tray yet, buy one and then read my post about How to Style a Tiered Tray. 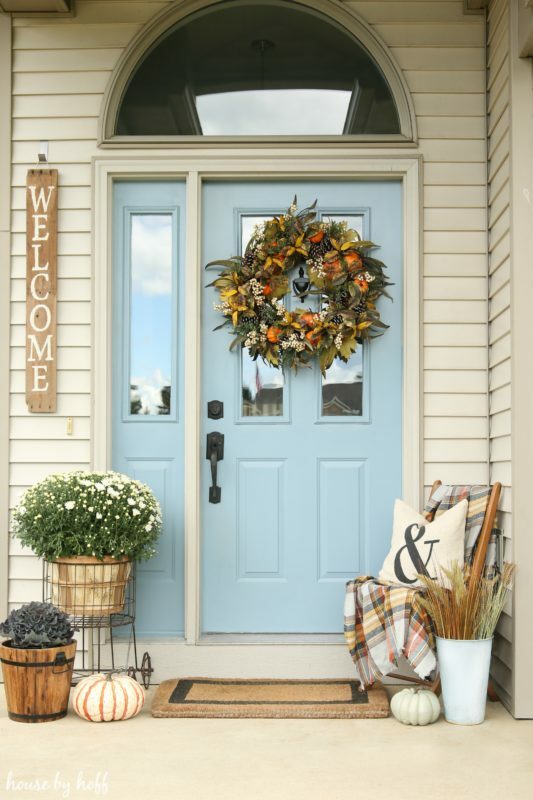 This piece is SO much fun to decorate for the seasons! 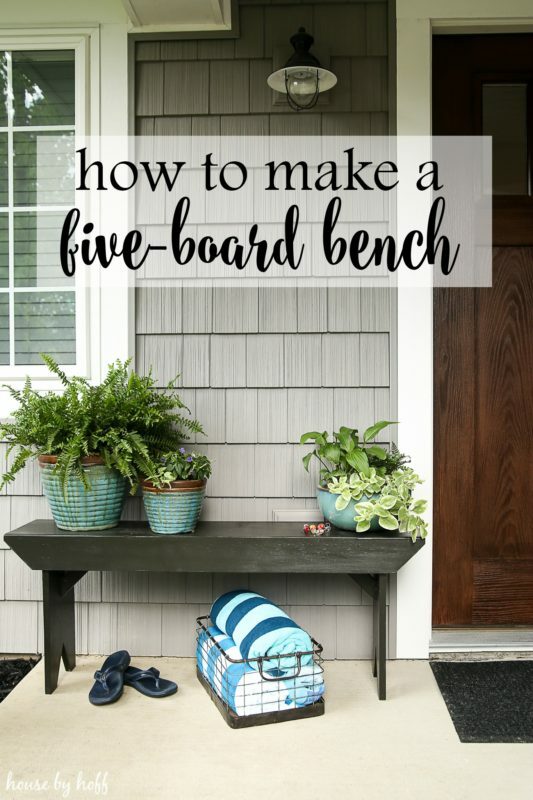 My handy-dandy dad made several benches last summer and let me borrow his ideas for my How to Make a Five-Board Bench tutorial. These benches are so versatile! Our holiday home in 2017 is going to go down as probably my favorite yet! 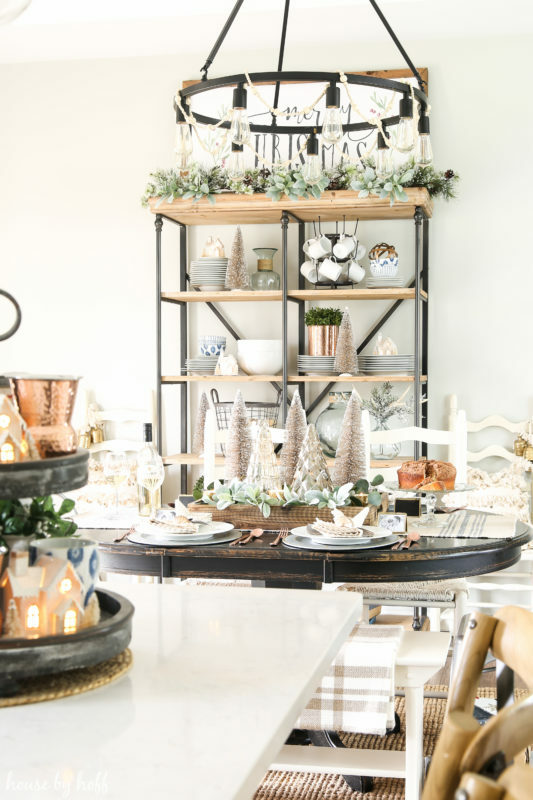 The Neutral and Sparkly Holiday Dining Room was as pretty in person as it looked in pictures, and I’m so glad it was one of my top posts last year! My fun trip to Austin, TX, which included a glorious side-trip with some of my favorite blogging friends rounds up my top ten posts of 2017! 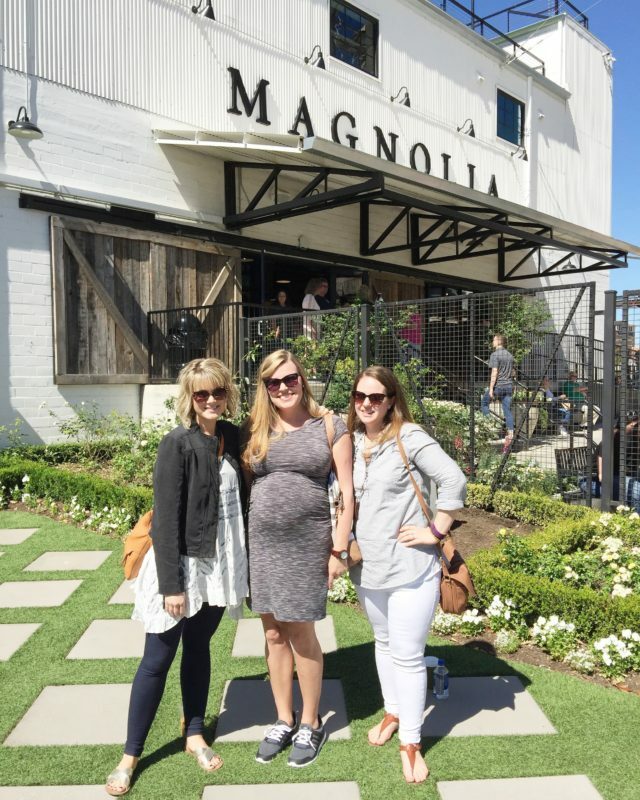 I’m so glad this post about My Trip to Magnolia Market made it into the top ten posts last year. This trip was a high-point of my year and my blogging career. It was a total “pinch-me” experience that I got to share with some of my favorite people! 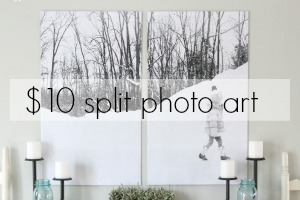 Now it’s time to check out all of the top posts from a really amazing group of bloggers! Be sure to check out all of the top posts below! My heart goes out to you! Praying for peace in your heart for 2018. LOVE your blog! A close friend of mine got laminate floors almost identical to yours and she couldn’t be happier. Thanks for being real! I am so sorry to hear about the struggles with pregnancy loss. Praying for you! 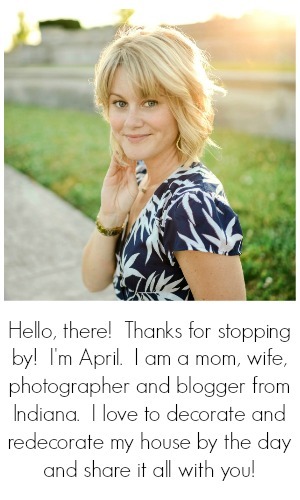 I’m so sorry for your struggles and pregnancy loss this year, April 🙁 Your year on the blog has been amazing though. You are such a sweet soul and are an amazing photographer!